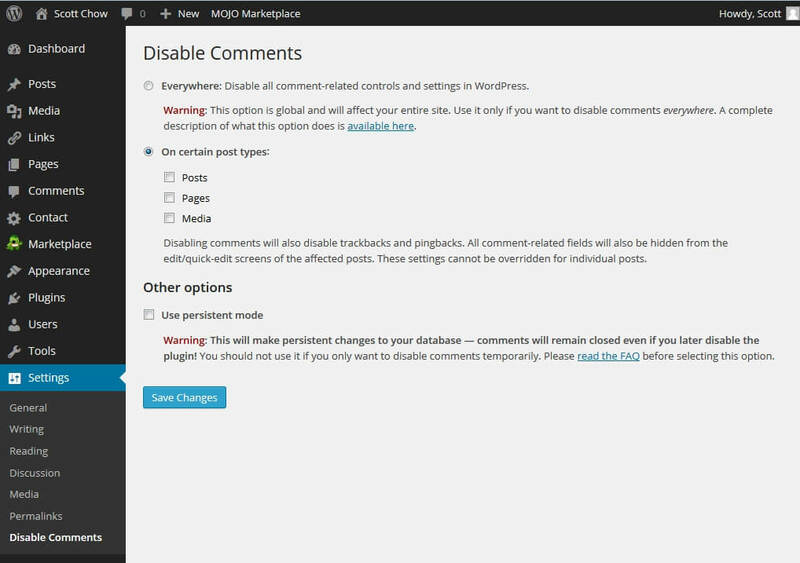 There are several reasons you may want to disable commenting in WordPress. The most common reason is that you are using WordPress for some type of site other than a blog. There are a variety of workarounds to disable comments. The simplest is to go to “Settings ==> Discussion” and un-check the box that says “Allow people to post comments on new articles”. 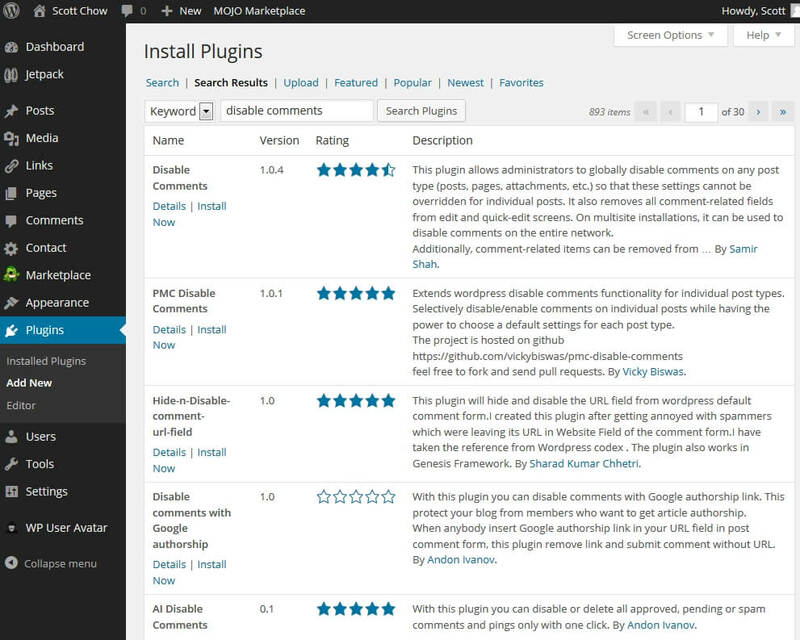 From your WordPress dashboard navigate to “Plugins ==> Add New”. The “Disable Comments” plugin should be the first result. Click “Install Now” and then click “Activate Plugin” on the next page.